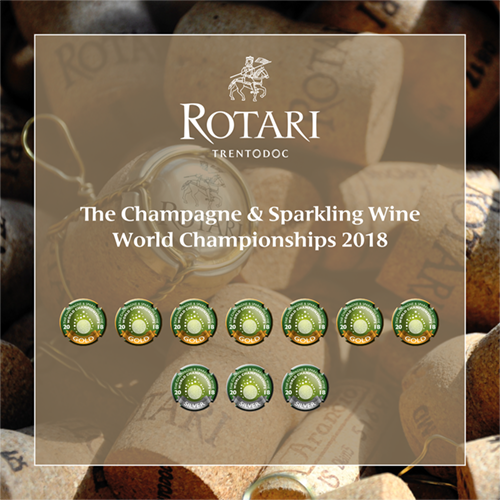 7 Gold and 3 silver medals: Rotari hit it big at the Champagne & Sparkling Wine World Championships, the prestigious international competition created and directed by journalist Tom Stevenson. 10 medals were given to us by a famous panel of judges, composed of Tom Stevenson, Essi Avellan, Tony Jordan and George Markus. That is great result for us, acknowledged by the most famous competition for sparkling wines in the world, and represents a valuable recognition to the commitment of Rotari and to the quality of our products, which certainly fills us with pride!